 All GMB programs are available for either immediate online streaming or download to your computer, iPhone, or tablet, which we find more convenient, and ecological (just think of the resources required to manufacture and ship DVDs and books). If you've placed your order, you now have immediate access to your programs, and can get started right away! All of our videos are recorded in true HD and edited to maintain the highest possible video quality for online streaming. We've also made all of the files a reasonable size for downloading. They’re optimized for viewing in iTunes, so you can load them onto your iPad or other portable media device for portability you can’t get with DVDs. The videos are completely compatible with both Windows and Mac software. Every program we offer has a one-time fee (as listed on the order page) and includes lifetime access. You'll pay for your program once, and then be able to access it from your GMB account, anytime, forever! Another awesome feature is that you receive any future updates that we make to the programs. So you can always rest assured that you will have the most up-to-date programming available. We're sticklers for improving our programs based on client feedback, and the latest technology available. So it's pretty common for us to update our programs over time. Some companies will have you pay more for a new version, but our policy here is that all GMB programs include free updates for life! You’ll never have to pay more to get the most current version of our courses.